Further to these objectives the NWA is for the benefit of its members and will not be classed as a trading business, so that all investment income and profits from any source, from functions and from activities of the NWA shall be maintained for the benefit of and further education of its members in the management, training, showing and breeding and in every aspect pertaining to Whippets. The NWA will abide by the Kennel Club rules and regulations. The NWA shall consist of a President, Chairman, Hon Secretary, Hon Treasurer, a committee of eleven and an unlimited number of members. The affairs of the NWA shall be under the management of the following elected officers; President, Chairman, Hon Secretary, Hon Treasurer, and a committee of eleven members, of whom one third shall retire on a three year rotation. The Hon Secretary and Hon Treasurer or the President and Chairman should not retire in the same year. All Officers and members of the Committee shall be eligible for re-election every three years. All Officers and Committee members shall have full voting rights at Committee and General meetings. The Committee shall have the power to fill any vacancies by co-opting members to serve for the unexpired part of the year. Those co-opted shall only hold office until the next AGM, when they must be duly nominated for election. Committee meetings shall be held as often as is deemed necessary, but at least every three months and five members shall form a quorum. In the event of an elected member of the committee being absent from three consecutive meetings without apology, the committee shall have the power to declare the seat vacant. The President shall preside at all meetings at their convenience. The Chairman’s duties shall be to attend all meetings of the NWA and to deputise for the President when required. In the event of an equality of votes at either a general or committee meeting, they shall have the casting vote in addition to a deliberate vote. The Hon Secretary’s duties shall be to summon and attend all meetings of the NWA. They shall keep a correct record of the Annual General Meeting proceedings in a Minutes Book which shall be signed by the Chairman at the next AGM when accepted by all the members present and keep minutes of all committee meetings. They shall also conduct all correspondence on behalf of the Club and transact such business as may be required by the committee. The Hon Treasurer shall receive all monies and will keep a proper record of all receipts and payments and shall submit a properly audited income and expenditure account and balance sheet to members at the AGM. 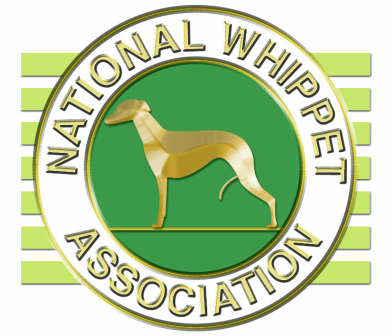 The Treasurer will also keep a bank or Building Society account in the name of the National Whippet Association and cheques will be signed in accordance with the authority given by the Committee. The Officers and Committee shall not enter for competition and/or exhibit any dog in their ownership at any NWA show. The NWA shall consist of an unlimited number of members. Membership will be granted on payment of the subscription, at the discretion of the committee. Honorary membership shall be conferred on persons who, in the opinion of the Committee, have rendered distinguished service to the NWA or the interests represented by it. Honorary members shall be relieved of the payment of subscriptions to the Association but shall possess the same rights and privileges as full subscribing members. An up to date list of members and their addresses, must be maintained and, if so requested, made available for inspection by the Kennel Club and members of the NWA. A declaration of the numbers of members of the NWA must be made with Annual Returns. Each member shall be entitled to one vote immediately upon acceptance of membership. Joint members shall have one vote each. Postal/proxy votes are not allowed. Voting shall be either by a show of hands or secret ballot, at the discretion of the Chairman of the meeting. The annual subscription for membership shall be determined by the membership at the AGM and payable to the Treasurer on 1st January each year. No member will be entitled to vote at the AGM if their subscription is not paid by 1st February. No member whose subscription is unpaid shall be entitled to any of the privileges of membership and if any member fails to pay the annual subscription by 1st February his\her name shall be automatically erased from the list of members. Acceptance back on the register will be dependent upon a new application and payment of arrears. Any member who shall be suspended under The Kennel Club Rule A42j(5) and/or any member whose dog(s) is/are disqualified under Kennel Club Rule A42j(9) shall ipso facto cease to be a member of the NWA. If the conduct of any member shall, in the opinion of the Committee, be injurious or likely to be injurious to the character or interests of the NWA, the Committee may, at a meeting, the notice convening which includes as an object the consideration of the conduct of the member, determine that a Special General Meeting shall be called for the purpose of passing a resolution to expel him\her. Notice of the Special General Meeting shall be sent to the accused member, giving particulars of the complaint and advising the place, date and hour of the Meeting that he\she may attend and offer an explanation. If at the Meeting, a resolution to expel is passed by a two thirds majority of the members present and voting, his\her name shall forthwith be erased from the list of members, and he\she shall thereupon cease for all purposes to be a member of the NWA except that he\she may within two calendar months from the date of such meeting, appeal to the Kennel Club upon and subject to such conditions as the Kennel Club may impose. If the NWA expels any member for discreditable conduct in connection with dogs, dog shows, trials or competitions, the Association must report the matter in writing to the Kennel Club within seven days and supply any particulars required. The property of the NWA shall be vested in the Committee. In the event of the NWA ceasing to exist, a final General Meeting shall be called to decide the disposal of the NWA assets and the outcome of the meeting be notified to the Kennel Club. Trophies presented become the property of the NWA and shall be kept insured. Bank Account(s) shall be held in the name of the “National Whippet Association” at such bank as the Committee may, by resolution, direct and into which all revenue of the NWA shall be paid. Withdrawals shall only be made on the signature of two officers. The accounts shall be kept by the Hon Treasurer, certified annually and presented to the members at the AGM. Certification of accounts will be carried out by one qualified accountant or two unqualified individuals with accountancy experience. The Financial Year of the NWA shall be from 1st January to 31st December. To receive the report of the Committee, the Accounts and Balance Sheet for the preceding year, to appoint the Auditor(s), to elect Officers and Committee members and to discuss any resolution duly placed on the Agenda of which prior notice has been given to the Secretary. No business shall be transacted at an AGM unless notice thereof appears on the Agenda, with exception of routine matters or those, which in the opinion of the Chair of the Meeting are urgent. Members will receive notice of the AGM by public notice in the canine press. Members shall receive a minimum of 28 days notice of the AGM. Members must send to the Hon Secretary, in writing, items for inclusion on the agenda not less than 14 days prior to the meeting. The Agenda shall be made available to members at the meeting. Special General Meetings (SGM) shall be summoned by the Chairman/Hon Secretary if 15 members send a signed requisition, stating the subject to be discussed and requesting an SGM to do so. No business other than that detailed on the Agenda can be discussed at a Special General Meeting. The Committee is also empowered to call an SGM. Members shall receive 21 days notice of such a meeting by public notice in the canine press including the reason for the meeting. The quorum for an SGM is 15 members personally present. The rules of the NWA shall not be altered except at an Annual General Meeting, notice of which contains specific proposals to amend the rules. Any proposed alterations to the rules may not be brought into effect until the Kennel Club has been advised and approved the alterations. New rules or amendments introduced specifically to meet Kennel Club requirements shall be adopted immediately. The Officers acknowledge that during the month of January each year the Maintenance of Title fee will be forwarded to the Kennel Club by Direct Debit for the continuance of registration and that by 31st July each year other returns, as stipulated in Kennel Club Regulations for the Registration and Maintenance of Title of Societies and Breed Councils and the Affiliation of Agricultural Societies and Municipal Authorities, will be forwarded to the Kennel Club. The Officers also acknowledge their duty to inform the Kennel Club of any change of Secretary of the Society which may occur during the course of the year. The NWA shall not join any Federation of Societies or Clubs. No person whilst an un-discharged bankrupt may serve on the Committee or hold any other office or appointment within a Kennel Club Registered Society.